Last Tuesday night San Francisco was abuzz with the sensational offerings poured at Wine & Spirits 11th Annual Top 100 at City in the Metreon. 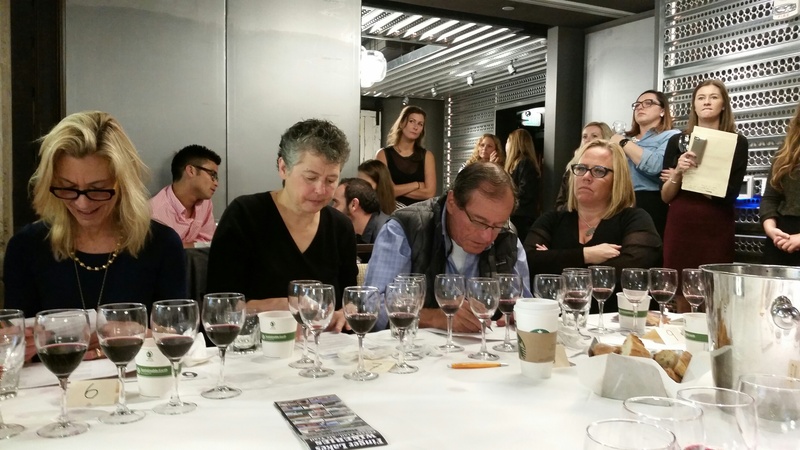 This annual benefit for San Francisco Baykeeper featured wines from the Top 100 Wineries of the Year, a collection of producers from around the world with the most exceptional track records in the magazine’s 2014 blind tastings. In addition to tasting 200 featured wines from four states and twelve countries, guests downed more than 3,500 Hog Island oysters and tasted delicious food from New & Notable Bay Area Restaurants which included 1760, The Barrel Room, Dirty Habits, Homestead, Lolo, Shed, Stones Throw and Torc, as well as tasty bites from eleven artisan purveyors. But beyond all these magnificent sensory moments, one of the highlights of the event was the naming of the winning team from Wine & Spirit’s 1st Annual Sommelier Scavenger Hunt. This unique series of journeys included five separate teams of sommeliers assigned to scout special wine regions in the America. 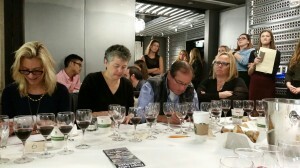 The goal for each team was find six wines that painted compelling portraits of regional terroir. If you’ve watched “Amazing Race” or “Survivor,” then you get the picture. Joy Sterling of Iron Horse Winery (left) and members of the media at the 1st Annual Sommelier Scavenger Hunt. 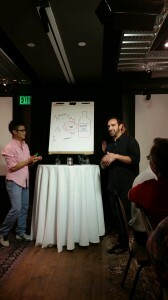 The presentations were held at Dirty Habit’s Stillhouse Room at the Palomar Hotel in San Francisco on Monday, October 24th. Led by W&S Editor and Publisher Joshua Greene, fellow sommeliers, Master Sommeliers and wine writers (myself included), the teams were judged by the six wines they selected and their compelling presentations. In the end, the winner was the Napa Valley Team. Below are some of the great points made by the teams and some of my favorite selections that I felt really showcases the appellations in liquid form. Team Finger Lakes: Riesling – Led by Matthew Kaner of Covell in Los Angeles, with Pascaline Lepeltier MS of Rouge Tomate in NYC, and Steven Morgan of Alinea in Chicago. Sommelier Notes: The Finger Lakes AVA is closer to Toronto than New York City. Sommelier Notes: Diverse varietals and hybrids planted on a mixture of shale and loam-based soils and influenced by variable climate conditions based on close proximity to lakes the region is known for. Through the years, Riesling has become the new focus of the region. Styles vary from bone-dry, off-dry and sweet. 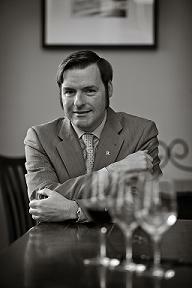 “All the wines are a discussion,” says Steven, who noted that the wines are affordable at $40 or under. 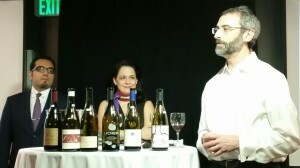 “People who like Alsace will like these wines.” www.fingerlakes.com / www.fingerlakes.org. SawyerSomm Pick: Bellwether 2013 Dry Riesling, A&D Vineyard, Keuka Lake, Finger Lakes ($22). Lovely floral aromas of spring flowers. Bright flavors of exotic melon, grapefruit, lime, dried mango, green apple and mineral; tangy acidity; long dry finish. www.bellweatherwinecellars.com. Team Santa Barbara: Chardonnay – Led by San Francisco-based sommelier Ian Becker of Absinthe and Arlequin, with Haley Guild Moore of Stock & Bones Group, and Gianpaolo Paterlini, of 1760 and Acquerello. Sommelier Notes: The sommelier group had to cover winegrowing regions in all of Santa Barbara County. The outcome of a commonality was Chardonnay. Distinct character included weather conditions influenced by high levels of luminosity and low vigor soils that included traces of diatomaceous earth, clay loam, shale, quartz, chert, limestone and calcareous soils—especially in the northern and southern coastal regions. The end result was concentrated flavors, high acidity, mineral, and a wide range of talented winemakers who now call the county home. www.sbcountywines.com. SawyerSomm Pick: Chanin 2012 Chardonnay, Sanford & Benedict Vineyard, Sta. Rita Hills ($45 to $53). From 45-year old vines grown at the famous Sanford & Benedict Vineyard on diatomaceous earth and chert. Aromas of white blossom, stone fruit, citrus, nutmeg, and gravel. Flavors of golden delicious apple, ripe melon, white peach, quince and mineral; structure; zippy acidity; and nicely integrated oak. www.chaninwine.com. Team Anderson Valley: The Houston contingency of Christian Varas of River Oaks Country Club, Vanessa Trevino Boyd of 60 Degrees Mastercrafted and Steven McDonald of Pappas Bros. Steakhouse (behind Wine & Spirits Publisher & Editor Joshua Greene) get ready to discuss the beauties of Pinot Noirs from Anderson Valley in Mendocino County. Sommelier Notes: Upon arrival in Anderson Valley from Texas, the team was fascinated with the distinctive terroir the region had to offer. Highlighted by well-drained soils, warm days and cool nights; the microclimates in the valley are tempered by cool air currents which blow in from the ocean in the mid afternoon. In the end, they concluded that single vineyards produce singular wines with unique character and charm. www.avwines.com / www.mendowine.com. SawyerSomm Pick: As a wine writer and sommelier, I think the six wines this team selected were the best grouping that exemplified their point. For that reason, I chose two offerings that really stood out from the 2011 vintage. The first was the Elke 2011 Blue Diamond Pinot Noir, Donnelly Creek Vineyard, Anderson Valley. This is an elegant unfined and unfiltered wine with ripe flavors of red berries, blueberry, earth and that classic note of the old Pommard clone that shows extremely well in the region. The other offering from the vintage was the Drew 2011 Pinot Noir, Morning Dew Vineyard, Anderson Valley, which expresses the more hillside character of the region. The clones are a combination of Rochioli and Domaine Romanee Conti special selections. Once again the red berry character is very apparent with nuances of wild strawberry, raspberry, forest floor, wild mushrooms and earth; perky acidity; and a long and complex finish after the bottle was opened for two hours before tasting. www.elkevineyards.com / www.drewwines.com. Team Napa Valley: Cabernet Sauvignon – Led by Michael Madrigale of Boulud Sud in NYC, with Josiah Baldivino of Bay Grape in Oakland, and Michelle Biscieglia of Blue Hill in NYC. Team Napa Valley: Josiah Baldivino of Bay Grape in Oakland, Michael Madrigal of BouludSud in NY and Michelle Biscieglia (behind) of Blue Hill in NY, showcase their artsy presentation of Cabernet Sauvignons from the dynamic appellations of Napa Valley. Sommelier Notes: Like most American sommeliers, the Napa Valley Team had plenty of experience in working with wines from the famous region of Northern California. But at the beginning of their presentation, Michael made it clear that the team’s original goal was trying to sort out the preconceptions of wines from Napa Valley. Along the way, what they found was that from the valley floor, benchlands, and rugged mountains all offered very distinctive microclimates that played major roles in the flavor profile of the finished wines they chose to pour at the event. To further emphasize their points, the team drew colorful cartoons drawn on big notepads and used little bits of humor along the way. In doing so, their presentation was fun, interactive, and worthy of the prestigious honor of winning the first ever Wine & Spirits Sommelier Scavenger Hunt. www.napavintners.com. SawyerSomm Pick: Smith Madrone 2011 Cabernet Sauvignon, Estate Bottled, Spring Mountain District, Napa Valley. Fresh-evergreen infused aromas of red and blue fruits, tar, tobacco, and earth. Deep flavors of ripe plum, blueberry, black raspberry, dark chocolate nibs, wild mountain herbs and forest floor; vibrant acidity; generous finish. Overall, a pure, balanced wine, and a testament to the natural splendor, rugged soils, high elevation, and steep slopes that are trademarks of the Spring Mountain District. www.smithmadrone.com. 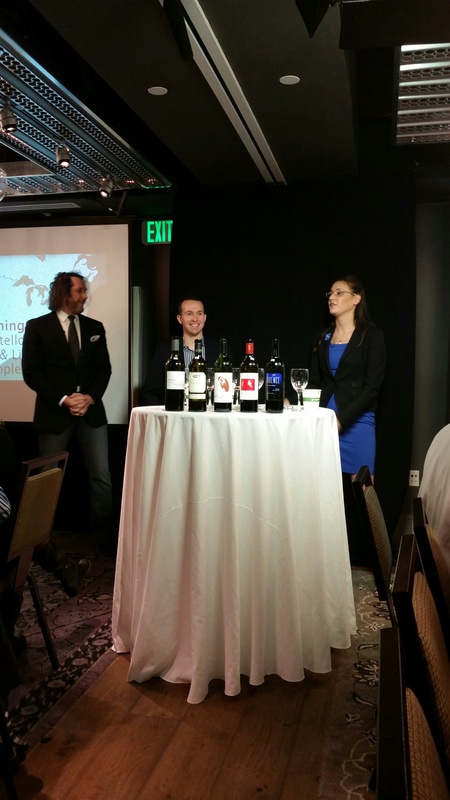 Team Washington State: Bordeaux-Variety Reds – Led by Lindsey Whipple of Charlie Palmer Group in New York, with Will Costello of the Mandarin Oriental in Las Vegas, and Mark Hefter of Crush Wine Bar MGM in Las Vegas. Team Washington: Mark Hefner of Crush Wine Bar MGM in Las Vegas, Will Costello of Madrid Oriental in Las Vegas and Lindsey Whipple of Charlie Palmer Group in New York, focus on Bordeaux-Variety Reds from Washington State. Sommelier Notes: By far the hardest assignment was Lindsey, Will and Mark’s coverage of Washington State. Although the state has a great track record of producing fine Riesling and Rhone varietals, the team chose to focus on proprietary red blends made with Bordeaux varietals. As the team explained, the growth in popularity of working with Merlot, Cabernet Sauvignon and other Bordeaux grapes has grown exponentially with the amount of wineries in the state that has increased from 19 in 1981 to over 800 today. What helps this cause is the combination of unique sandy and gravelly loam soils; rocky and dessert-like conditions that created by ancient Lake Missoula Floods; hot days and cool nights; and isolated protection from disease in the vineyards. www.washingtonwine.org. SawyerSomm Pick: Delille Cellars 2011 Chaleur EstateBig, rich, heady and complex. This wine is made with 30% Cabernet Sauvignon and 10% Cabernet Franc from the Ciel du Cheval Vineyard; 35% Cabernet Sauvignon and 15% Merlot from the Klipsum Vineyard; and 10% Merlot from Upchurch Vineyard. Together, these components create deep aromas and flavors of ripe plum, blackberry cobbler, pie crust, cinnamon and clove; chewy tannins; structure and balance; and a long elegant finish. www.delillecellars.com.